Are you aware of how much power you hold within your being to manifest whatever your heart desires and you are willing to dedicate your time and attention focusing on? 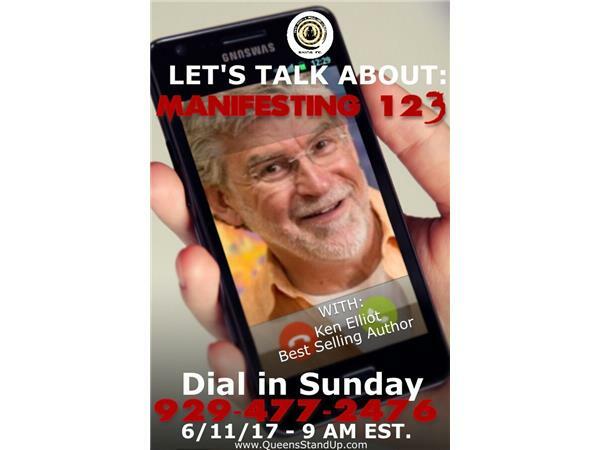 If this is new to you our guest host Ken Elliot Author of Manifsting 123 and you don't need 3 is here to share with us the power of focusing your mind. In his text he writes that much of what appears in your life doesn'ty suddenly happen, it is steadily built as you think it. This concept that thought create and influences the world around you is demonstrated in his text through the use of captivating stories which are sure to inspire and motivate you to start intentionally creating the life you imagine.